If you have downloaded Tweetbot to you iPhone, you may be disappointed by the lack of an option to landscape mode and ability to tweet out messages longer than 140 characters. Well now, help may be at hand. The Tweetbot app is a great full-featured Twitter client that enables you to have all your Twitter features readily available on your Apple iPhone like smart gestures, multiple timelines and many more…See my article on the app here. Solution 1: TweetbotRotator, this jailbreak tweak provides the Twitter client with a landscape mode and is available on Cydia. 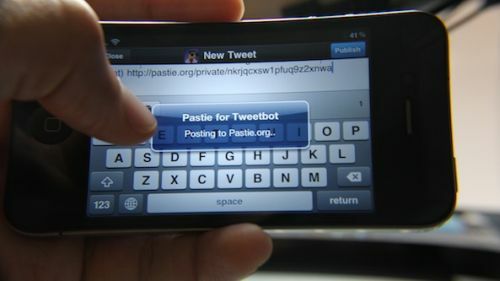 Solution 2: PastieBot, this companion tweak enables messages of longer than 140 characters to be automatically posted to Pastie.org. It is very similar in the way it works to other tweet-lengthening services, like Twitlonger. Have you downloaded the Tweetbot app? 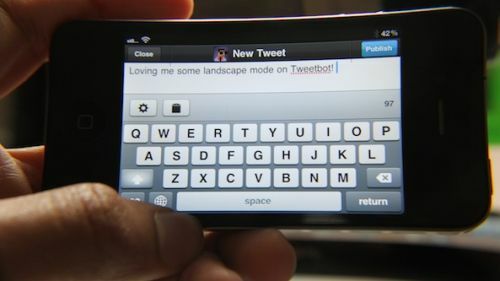 If so, will you be adding the tweaks to your Twitter client?